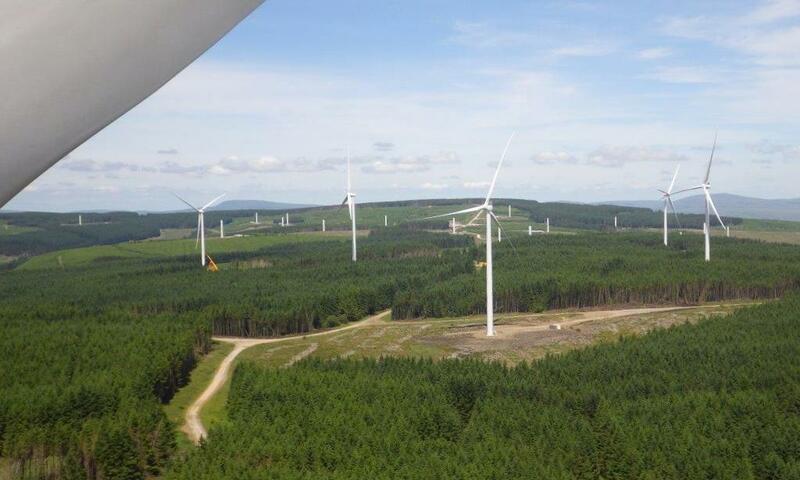 Today, Vattenfall`s largest onshore wind farm, Pen y Cymoedd in Wales, is inaugurated. This means that Vattenfall takes one more step towards supplying climate-smart solutions to its customers. And by co-locating renewable energy production with associated storage facilities, Vattenfall aims to promote the transition to a new energy system. When the Pen y Cymoedd wind farm in south Wales is inaugurated on Thursday, it is Vattenfall’s largest onshore wind farm, supplying 188,000 households with renewable electricity from wind power. Pen y Cymoedd could also become the largest commercial wind farm in the world with a co-located battery facility for storing electricity. In March, Vattenfall and the BMW Group signed an agreement for the supply of up to 1,000 lithium-ion batteries this year. The batteries, which have a capacity of 33 kilowatt hours (kWh) each, will be packaged and installed at Pen y Cymoedd in Q4 this year and deliver enhanced frequency response to National Grid hence help to integrate renewable energy to the energy system.